St. John was first settled by the Arawak Indians who had migrated north from coastal Colombia and Venezuela around AD 300. The Arawaks inhabited the island until around the year AD 1300, when they were driven off by the more aggressive and warlike Caribs. Extensive archaeological work has been undertaken from 1996 to the present at Cinnamon Bay. The artifacts from this dig are being studied and should yield more detailed information on pre-Columbus civilization in the US Virgin Islands (Taino). The Virgin Islands National Park borders encompass 75% of the island. Christopher Columbus is credited with being the first European to see the Virgin Islands during his second voyage to the New World in 1493. He named the island group “Once Mil Virgenes”, or Eleven Thousand Virgins, in honor of the feast day of Saint Ursula and the 11,000 virgins who were martyred with her. The Danish West India and Guinea Company represented the first Europeans to settle the island in 1718. They are also credited with naming the island St. John (Danish: Sankt Jan). The Danish crown took full control of the colony in 1754, along with St. Thomas and St. Croix. Sugar plantations, such as the famous Annaberg Sugar Plantation, were established in great numbers on St. John because of the intense heat and fertile terrain, which provided ideal growing conditions. The establishment of sugar plantations also led to the importation of more slaves from Africa. St. John was the site of one of the first significant slave rebellions in the New World in 1733 when enslaved Akwamu rebels from the Gold Coast took over the island for six months. The Danish were able to defeat the enslaved Africans with help from the French in Martinique. Instead of allowing themselves to be recaptured, more than a dozen men and women shot themselves before the French forces could capture them. It is estimated that by 1775, slaves outnumbered the Danish settlers by a ratio of 5:1. The indigenous Caribs and Arawaks were also used as slave labor, to the point of wiping out their entire population. 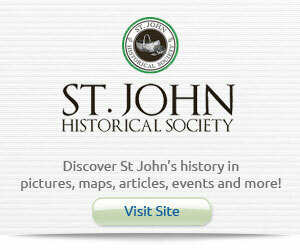 Slavery was finally abolished in St. John on July 3, 1848. In 1917, the United States purchased the U.S. Virgin Islands for $25 million from the Danish government in order to establish a naval base whose purpose was to prevent German expansion in the Western Hemisphere. They also agreed to recognize Denmark’s claim to Greenland, which they had previously disputed. The U.S. Virgin Islands are an organized, unincorporated territory of the United States. U.S. Virgin Islanders are U.S. citizens, although they cannot vote in presidential elections and have only non-voting status in Congress. A federal lawsuit in the District Court of the Virgin Islands is pending to provide US Virgin Islanders with the fundamental right to be represented in Congress and vote for U.S. President. The case is Civil No. 3:11-cv-110, Charles v. U.S. Federal Elections Commission. The case alleges it was racial discrimination present in an all-white and segregated Congress of 1917 that was the impetus to deny the right to vote to a majority non-white constituency. 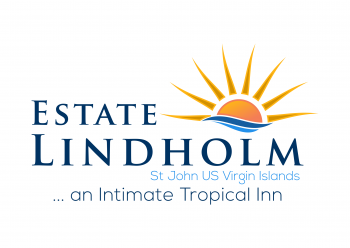 Since 1972, U.S. Virgin Islanders have elected their own governor. They enjoy a large degree of self-rule through a local 15-seat territory-wide legislature. In 1956, Laurance Rockefeller donated most of the land he had acquired on the island to the United States National Park Service, under the condition that it must be protected from future development. The remaining portion, the Caneel Bay Resort, continues to operate on a lease arrangement while the park owns the actual land. The Virgin Islands National Park borders encompass 75% of the island, but various in-holdings within the park boundary (e.g., Peter Bay, Maho Bay) reduce the actual land the park owns to 60%. However, much of the island’s waters, coral reefs, and shoreline are protected via their inclusion in the park. This protection was expanded in 2001 when the Virgin Islands Coral Reef National Monument was created.